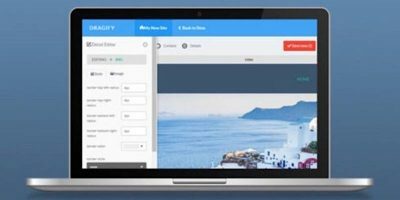 Everyone wants to build their own website, but the learning curve can be tough – that is unless you have a Dragify Website Builder: Lifetime Subscription. Looking for an easy way to manage your projects and tasks no matter where you are? MeisterTask is a free web-based agile project and task management system. Looking for an easy way to add emoji characters to your tweets on Twitter? Here is a Chrome extension and web app that can help. If you are looking for a new graphics technique using layers, you may want to try this great retro 1960s pop art screen print effect. We’ll show you how to get this cool effect using Pixlr. Many times to complete tasks you have the option of completing it via a company’s website or with an app. Do you prefer to complete tasks using a website or an app when both are available? If you’re looking for a built-in tool to convert files in Google Drive, then try DriveConverter, a web app and Chrome extension specially built for Google Drive. It offers more flexible conversion features for documents, images and music files. The web browser has become the most used application on most of our computers, and sometimes it is can be a real inconvenience to switch to another application just to take notes. Here are some of the great text editors you can use right in Google Chrome. Mar 25, 2013 — By Bertel King, Jr.